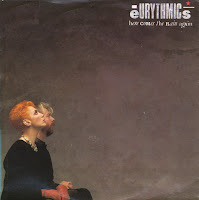 Taken from the soundtrack of the movie '1984', for which Eurythmics provided the soundtrack, 'Julia' was the second single from that album. It couldn't be as successful as the catchy 'Sexcrime (1984)' but personally I find this track much more beautiful. 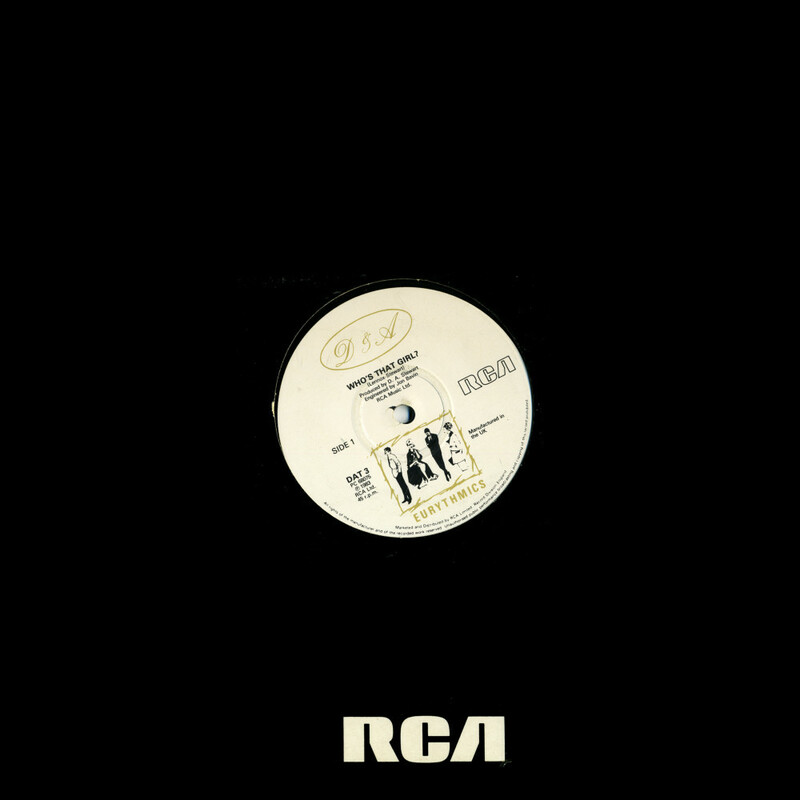 This 12" single features extended versions of both the A- and B-side of the single. Although 'Julia' is labelled as 'extended', it is actually the album version of the track, and not, like the B-side, a 'real' extended version. 'Touch Dance' is a remix album by the Eurythmics. 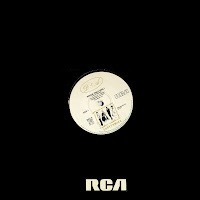 This mini-album was released by RCA Records in May 1984, six months after the release of the album 'Touch'. 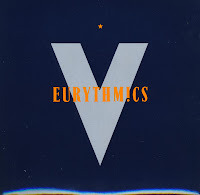 It contains dance remixes of four tracks from Eurythmics' Touch album, by John 'Jellybean' Benitez and François Kevorkian, who were noted producers in the New York club scene. Amazingly, it omits all the hits from that album: 'Here comes the rain again', 'Right by your side' and 'Who's that girl'. 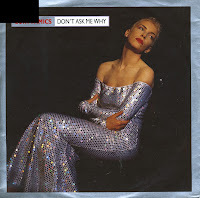 Annie Lennox has said in interviews that she disliked the record, as it was too much of a commercial product and was put together by RCA with little involvement from herself and Dave Stewart. There was some doubt in my mind upon buying this 12" single, whether it would contain an extended version of 'Who's that girl', as it wasn't described as such on the label. Strange, because the extended version of 'Who's that girl' would be something to brag about as it's actually quite good. 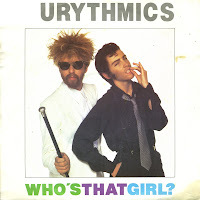 'Who's that girl' was the first single from the band's third album 'Touch' and a top 10 hit in several European countries. In the UK, the single peaked at number 3. 'Sisters are doin' it for themselves' was written by Eurythmics members Annie Lennox and Dave Stewart. It was intended as a feminist anthem. They recorded the track together with American soul/R&B musician Aretha Franklin and released as a single by RCA Records in October 1985. 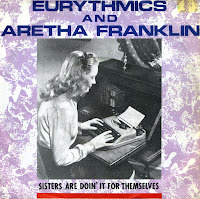 It was featured on both Eurythmics' 'Be yourself tonight' and Franklin's 'Who's zoomin' who?' albums. The single reached number 18 on the U.S. Billboard Hot 100 singles chart and number 9 in the UK Singles Chart. 'Thorn in my side' was released as a single from the Eurythmics' album 'Revenge' in the summer of 1986. Written by band members Annie Lennox and David A. Stewart, the song is a cast-off to an unfaithful lover. The single became Eurythmics' ninth Top 10 single, reaching number five in the UK singles chart. In the United States, the track stalled at number 68 on the Billboard Hot 100. 'Revival' was written by Eurythmics members Annie Lennox and David A. Stewart together with guest keyboardist Pat Seymour. The lyric is a call for renewal and encouragement. Lennox sings the song to a subject who is facing hardships and feeling low, or perhaps is feeling bitter after much struggle in life. The single was not released in the USA, and was only a minor hit in the UK, peaking at number 26. In the Dutch Top 40, it fared marginally better, peaking at number 25. In 1991, the Eurythmics decided to take a break from working together to concentrate on solo efforts. Annie Lennox recorded the awardwinning album 'Diva', David A. Stewart formed the Spiritual Cowboys, releasing two albums with the group. The record company took the opportunity to release a greatest hits album. In order to promote the album, a remix of 'Sweet dream (are made of this)' was made and released as a single. The remix didn't really change much from the original song, but simply added some sounds and beats to what was already a pretty perfect popsong. It reached number 48 in the UK singles chart. 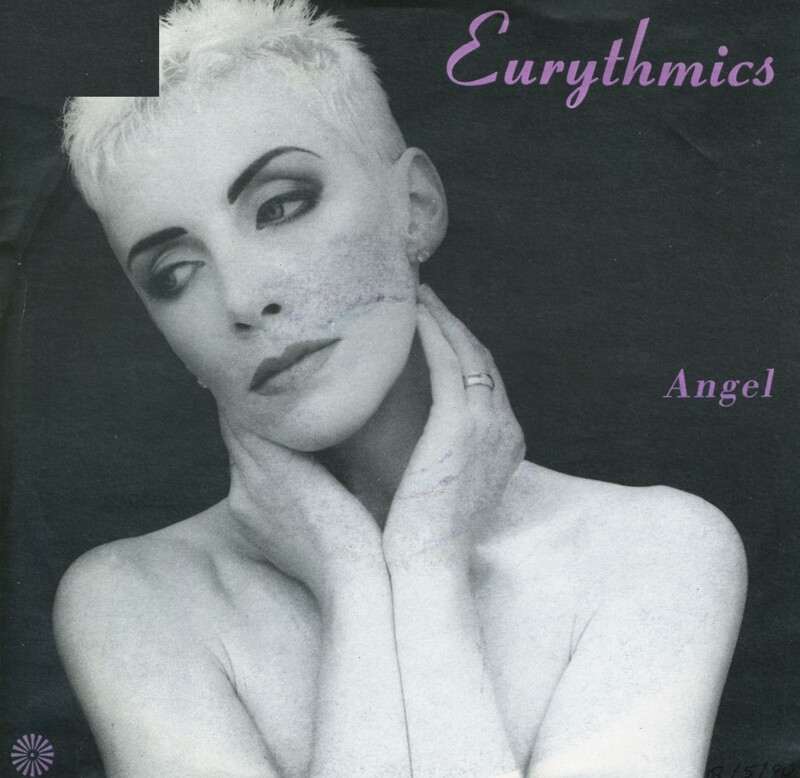 'Angel' was written by Eurythmics band members Annie Lennox and David A. Stewart. It was the fourth single taken from their album 'We too are one'. The single reached number 23 in the UK singles chart, but failed to reach the US Billboard Hot 100 chart. 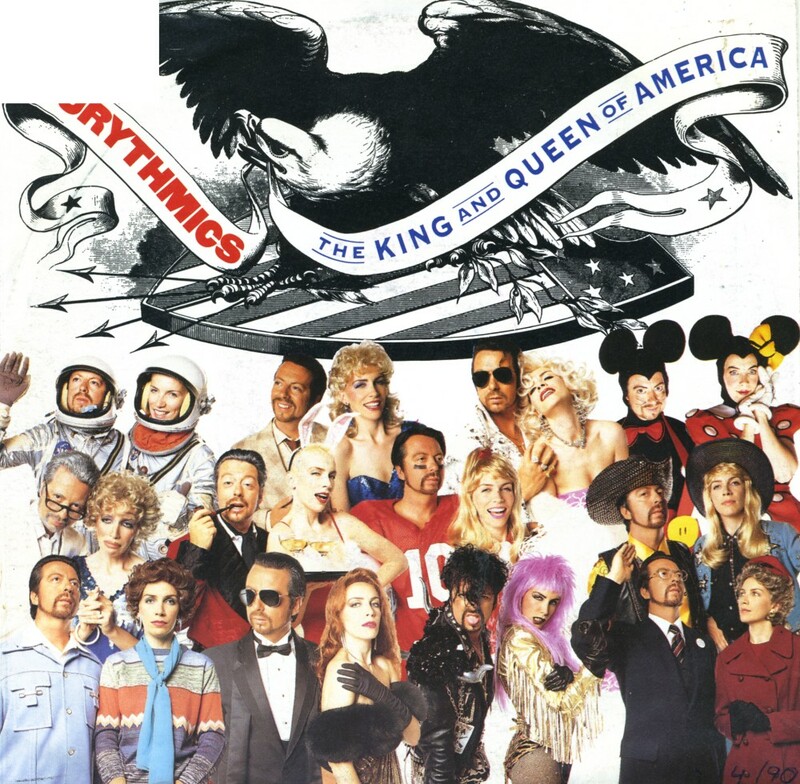 Released as the third single from their album 'We too are one', the Eurythmics' 'The king and queen of America' was written by band members Annie Lennox and Dave Stewart. 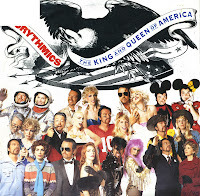 The song's music video showed Lennox and Stewart in a variety of costumes and settings which parodied various aspects of American pop culture, including a game show host and hostess, singing cowboy and cowgirl à la Roy Rogers and Dale Evans, and Ronald and Nancy Reagan. The single reached number 33 in the Dutch Top 40 and number 29 in the UK singles chart. It was not released in America. Not to be confused with the Madonna track that was released four years later, 'Who's that girl' was released by the Eurythmics in 1983. The music video featured Annie Lennox appearing in a male and female version. She appeared as a nightclub singer performing the song and also as a man who is a member of the audience. The video features cameo appearances by Bananarama, Cheryl Baker and Jay Aston of Bucks Fizz, Kiki Dee, Hazel O'Connor, Kate Garner of Haysi Fantayzee, Thereza Bazar of Dollar and Marilyn. In the end of the clip, the female-Lennox is shown kissing the male-Lennox. The single reached number 3 in the UK singles chart, number 21 in the US Billboard Hot 100 chart and number 28 in the Dutch Top 40. 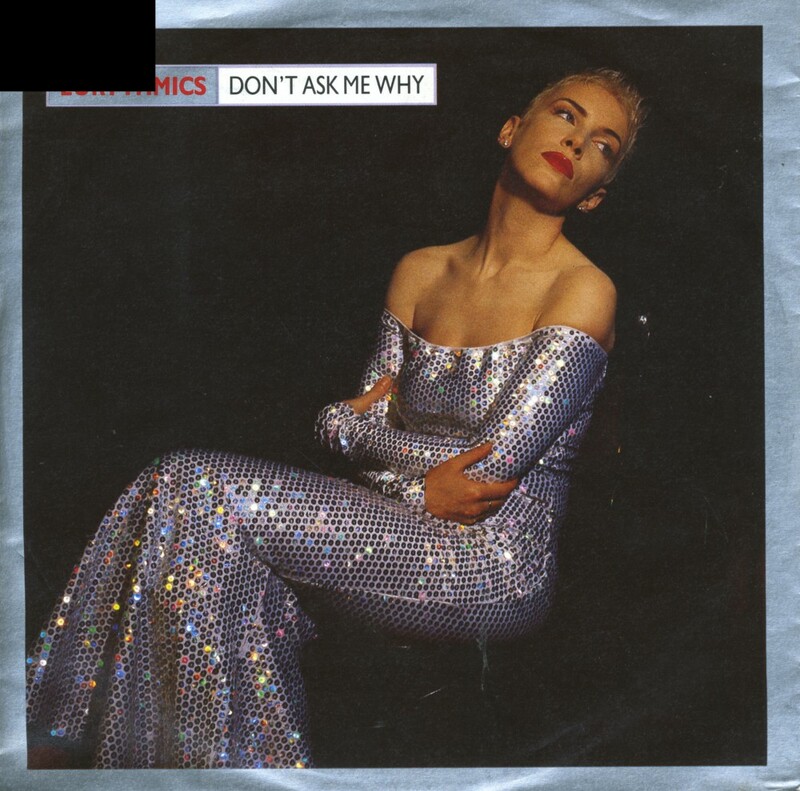 'Don't ask me why' was written by Annie Lennox and David Stewart. The lyric of the song describes the ending of a relationship. The lyric can also be interpreted as a personal message from Lennox to her ex-husband, from whom she split acrimoniously in 1985, although some think the lyric is directed towards ex-lover and band partner Stewart. 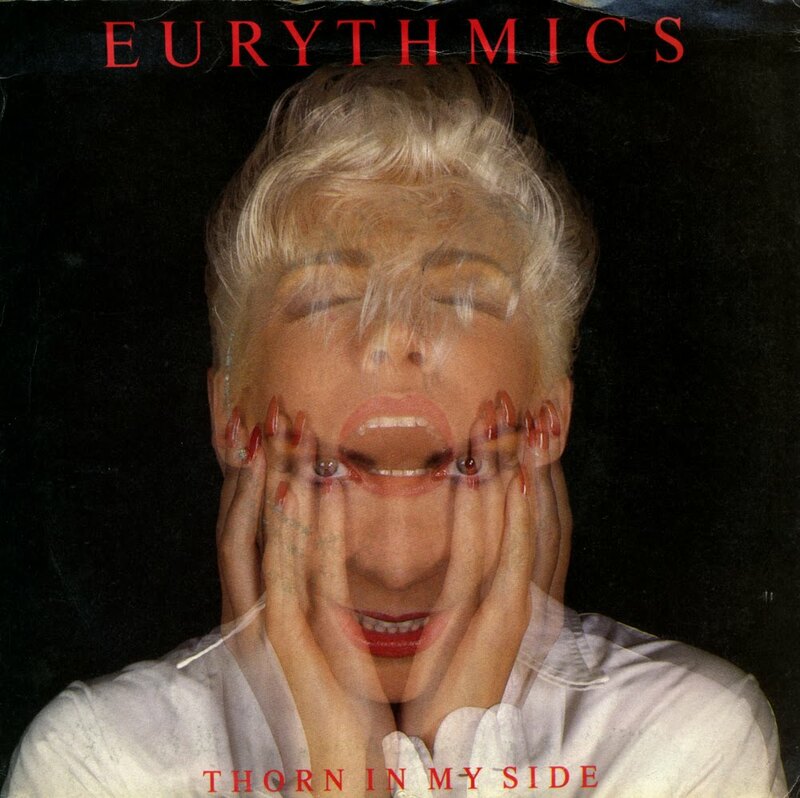 The song was released as the second single from the Eurythmics' album 'We too are one'. It reached number 25 in the UK singles chart and number 40 in the US Billboard Hot 100 chart. 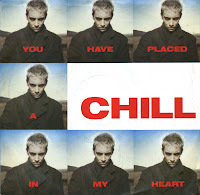 'You have placed a chill in my heart' was written by Eurythmics members Annie Lennox and David A. Stewart, and appears on the duo's album 'Savage'. It was released as the fourth single from the album. The track is driven by a drum machine and is a mostly synth-based pop song. Lyrically, Lennox sings of mustering the power to leave a destructive relationship with a lover who does not return the affection she deserves. The single reached number 16 in the UK singles chart. 'Here comes the rain again' was performed by the Eurythmics on their 1983 album 'Touch' and written by its members, Annie Lennox and Dave Stewart. Dave Stewart commented: 'The whole song was about that undecided thing, like here comes depression, or here comes that downward spiral. But then it goes, 'so talk to me like lovers do.' It's the wandering in and out of melancholy, a dark beauty that sort of is like the rose that's when it's darkest unfolding and bloodred just before the garden, dies. And capturing that in kind of oblique statements and sentiments.' He also revealed that the lyric to the song came into being after an argument between himself and Lennox while they were doing some songwriting in New York City's Columbus Hotel. The basic melody had already been written and Lennox looked out the window after their fight and noticed it was starting to rain. She announced, 'Here comes the rain again'. The string arrangements by Michael Kamen were performed by members of the British Philharmonic Orchestra. The track actually lasted for five minutes, but was edited when it was released on the 'Touch' album to four and a half minutes. The track was edited even further for the single release. The full length version only appeared in 1991 on the US edition of 'Greatest hits'. 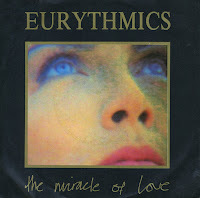 'The miracle of love' was recorded by the Eurythmics in 1986 on their sixth album 'Revenge'. It was subsequently released as the third single from the album, although the single was not released in the United States. It reached number 31 in the Dutch Top 40 and number 23 in the UK singles chart. 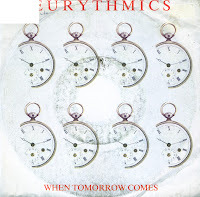 I remember the feeling of disillusionment when I first heard 'When tomorrow comes' by the Eurythmics. They were always known for their synthpop tracks, but on this song, there was literally no synthesizer in sight. And weren't there already too many guitar bands? 'When tomorrow comes' isn't a bad song, though. The album 'Revenge' would continue this rock sound, making the synthpop label on Eurythmics a bit misplaced anyway. 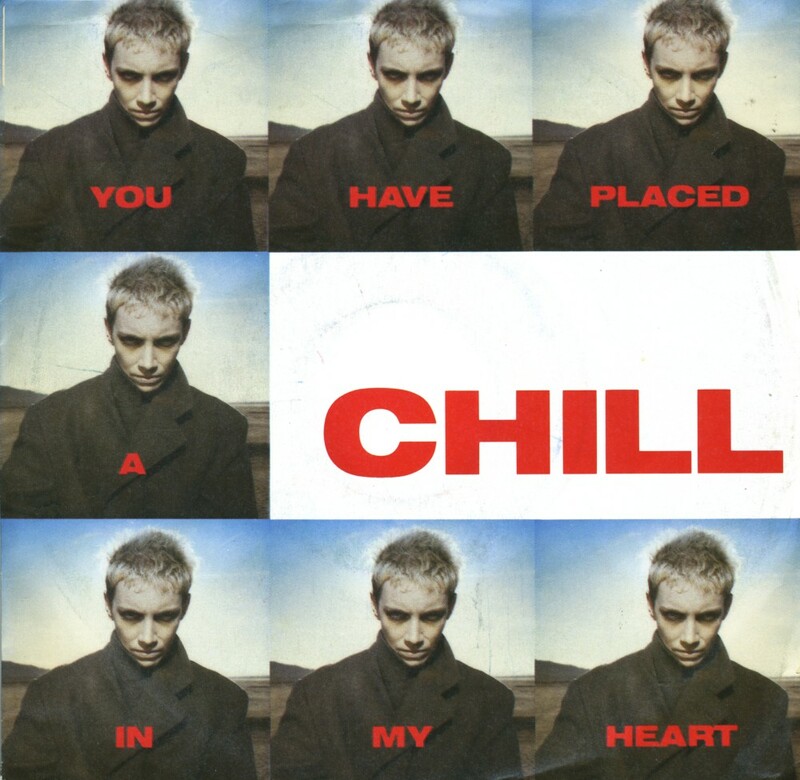 Meanwhile, this single only reached number 30 in the UK singles chart and number 19 in the Dutch Top 40, while becoming a top 10 hit in Scandinavia and Australia. 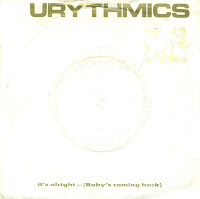 'It's alright (Baby's coming back)' was a slight return by Eurythmics to the electronic-based sounds of their earlier albums. Driven by a subtle drum machine track, Lennox sings a straightforward ode to a lover returning to her after a long absence. The instrumental passages feature some elaborate multitracked harmony guitar parts from Stewart. The track was released as the fourth and final single from their album 'Be yourself tonight'. It peaked at number 12 in the UK singles chart and number 20 in the Dutch Top 40. One of the most successful collaborations in Eighties pop is the Eurythmics. 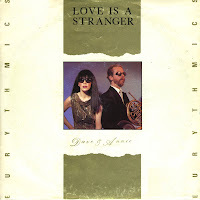 Dave Stewart and Annie Lennox were continually changing their sound, releasing one hit single after another. 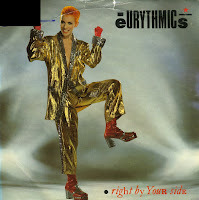 'Right by your side' was lyrically and sonically different from past single releases from the band. The track is an uptempo love song featuring calypso music, synthesized steel drum and marimba sounds as well as a horn section. 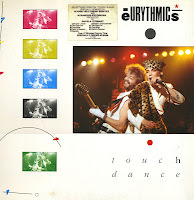 The track was released as the second single from Eurythmics' third album 'Touch'. It reached number 10 in the UK singles chart and number 20 in the Dutch Top 40. 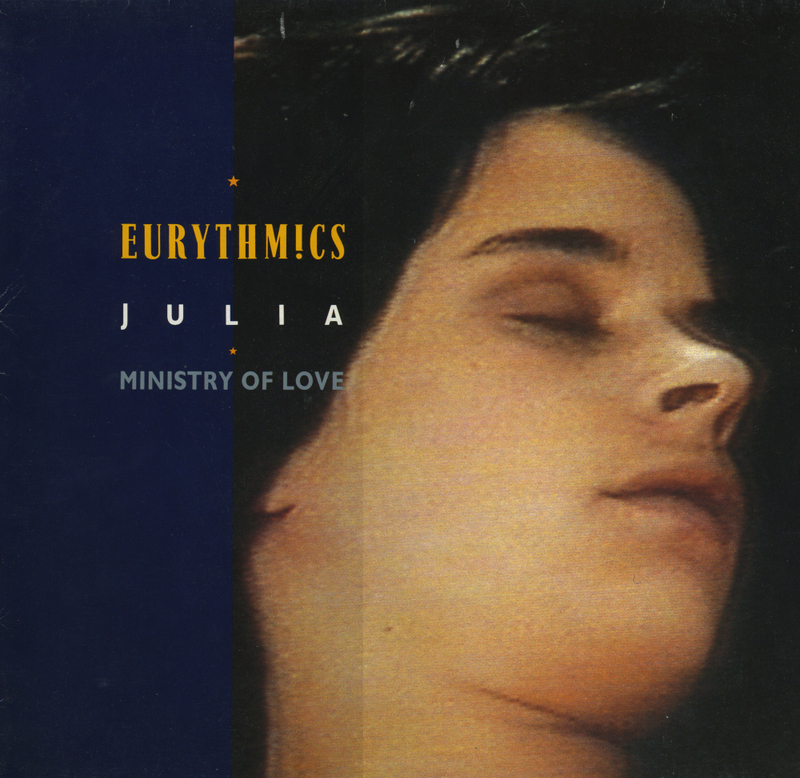 'Julia' was a track on the soundtrack of the movie '1984', which was composed and recorded entirely by the Eurythmics. It was subsequently released as the second and final single from the album. The song is a ballad with very sparse electronic instrumentation and an almost a cappella performance by Lennox. Her vocals are accentuated by vocoder effects in the background. The title and lyrics of the song are based upon the novel's heroine and love interest, Julia. The single was released as a limited edition in the UK, featuring a pop-up sleeve and a picture disc with a still image from the film, featuring English actress Suzanna Hamilton as Julia. The single reached number 44 in the UK singles chart. 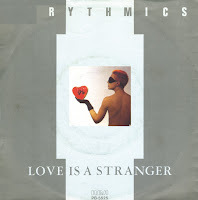 'Love is a stranger' was originally released in November 1982, but it failed to chart. 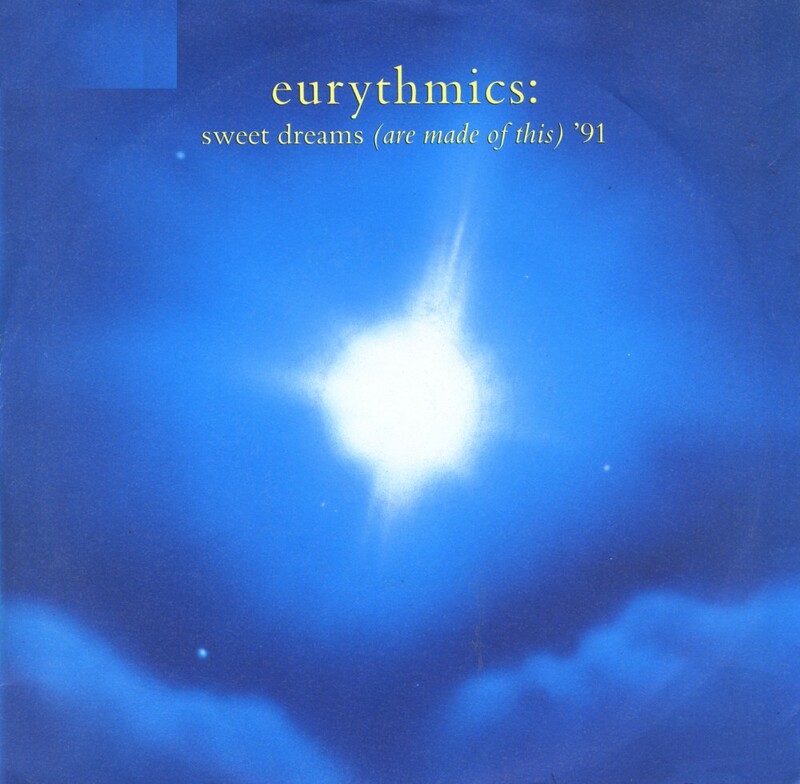 When 'Sweet dreams (are made of this)' became a hit single, this single was re-released in March 1983. On that occasion, it peaked at number 6 in the UK singles chart, number 13 in the Dutch Top 40 and number 23 in the US Billboard Hot 100 chart. On the track, the rare Movement Systems Drum Computer and various synthesizers are used, combined with Lennox's strident multi-tracked vocal harmonies. The song is also punctuated with vocal grunts of "uh!" from Stewart. I bought two different copies of this single: at the time of its re-release, I bought the Dutch pressing. Sixteen years later, I found a UK pressing with a totally different sleeve: the original 1982 version. When the British film '1984' was made in the UK, the Eurythmics were contacted to make the soundtrack. They agreed, and so the album of the same name came to be. 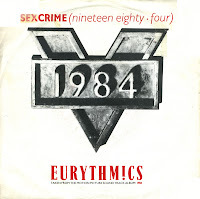 'Sexcrime (1984)' was the first single lifted from the album, released in October 1984. 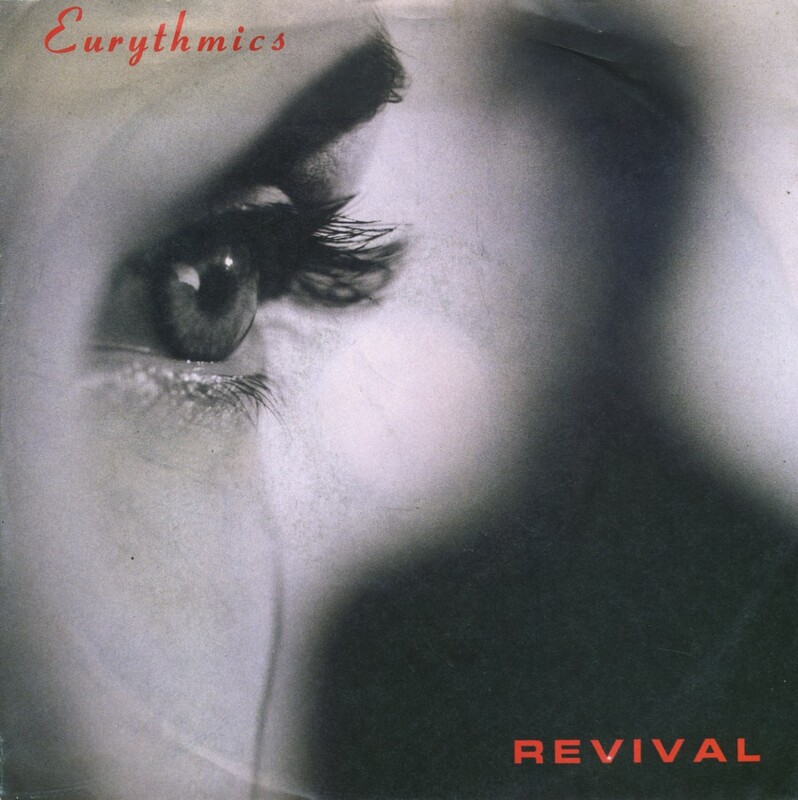 The single peaked at number 4 in the UK singles chart, becoming Eurythmics' sixth song in a row to enter the Top 10. It was also a big hit throughout Europe and became one of the duo's biggest selling singles in Australia.